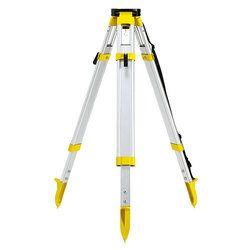 This medium-duty tripod is an ideal tripod for use with standard dumpy levels and rotating laser levels. Made with all the attention for detail you would expect from Leica this durable aluminium telescopic tripod features carrying straps and fast clamps. When collased the folded length is 1.05m and when fully extended an instrument height of 1.67m can be acheived. 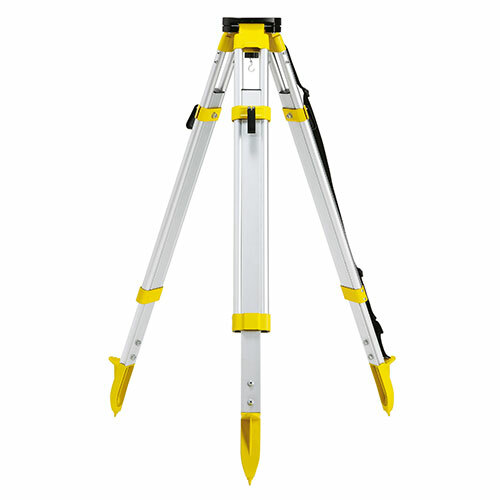 Made from anodised aluminium the tripod weighs 4.5kg and is suitable for supporting instruments of up to 5kg.